The thing I love most about doing a cooking masterclass is picking up tips and tricks that you randomly find yourself using at a later date. Tonight was one such occasion when I made a salmon dish and then crisped the skin in the oven between two baking trays so it lay flat and roasted for five minutes. This type of step is not something I’d usually bother with, but it added such a simple, no fuss, textural element to the dish that I will be using this technique again. I learnt this at world-renowned cooking school, Le Corden Bleu for a cookery masterclass to showcase Parma ham/Prosciutto di Parma. 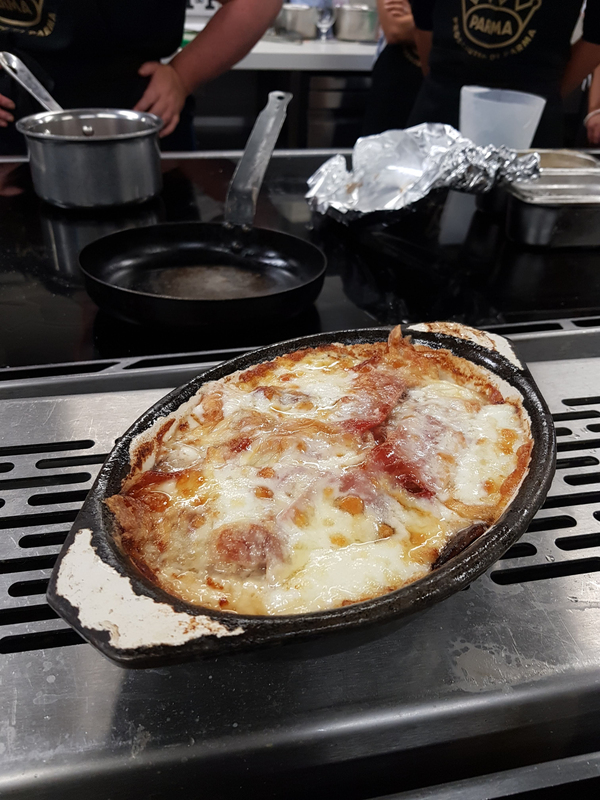 Part of the class involved the Parma ham being baked to a crisp and then blitzed to create a crumb. I love Parma ham for its sweet, nutty, rich flavour. There are four main things that go into its making: pork leg, sea salt, air and time. And the quality of these and its regional origin is what earns it a PDO status. 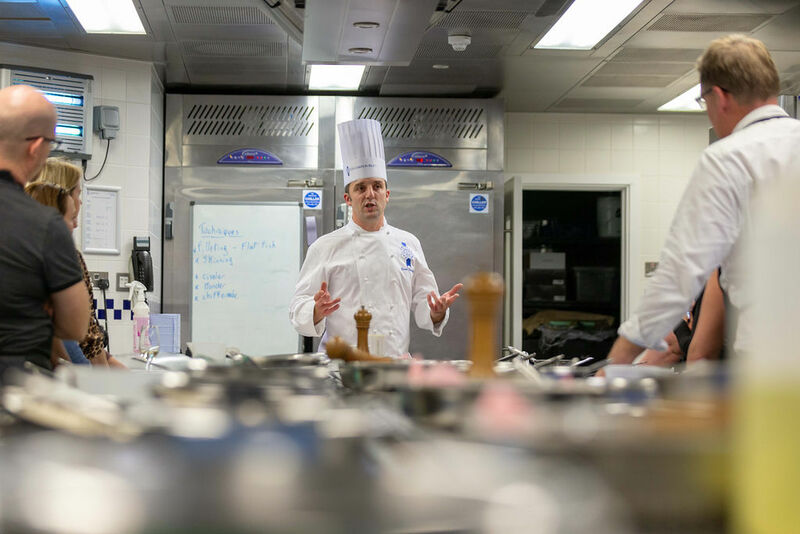 Chef David Deverger, patiently and expertly put myself and a host of other bloggers through our paces. 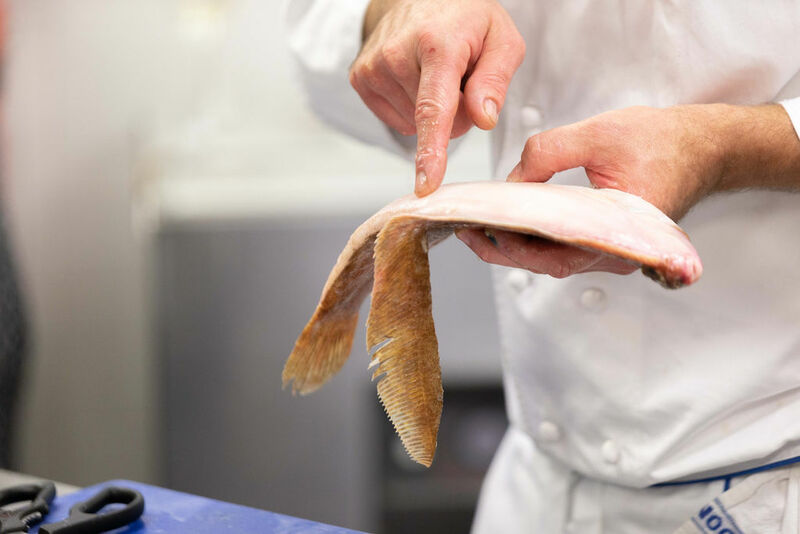 We learnt how to fillet flat fish, make a gratin along with a host of tips on how best to cook these. 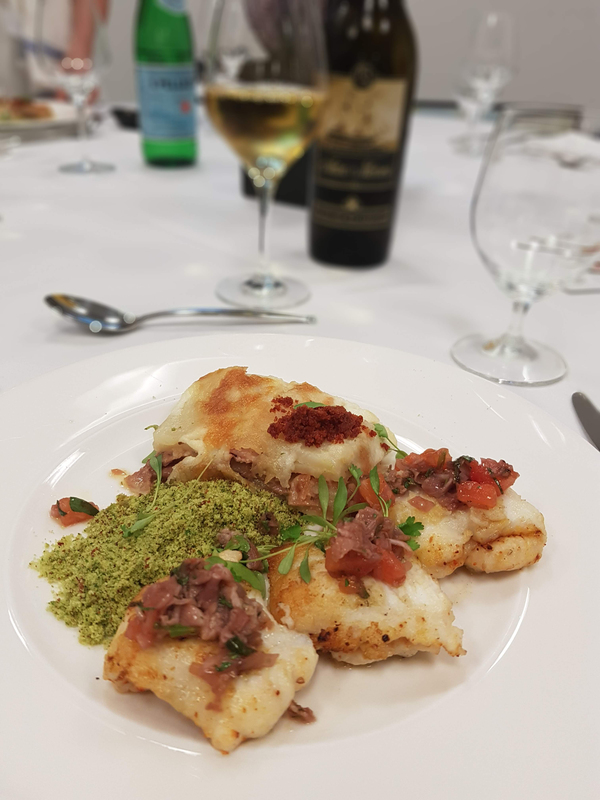 We made: potato, mozzarella and Parma ham gratin, with a pan-fried lemon sole, tomato and ham sauce vierge. And chef provided the starter of Parma ham crème brulée with hazelnut and dried figs. 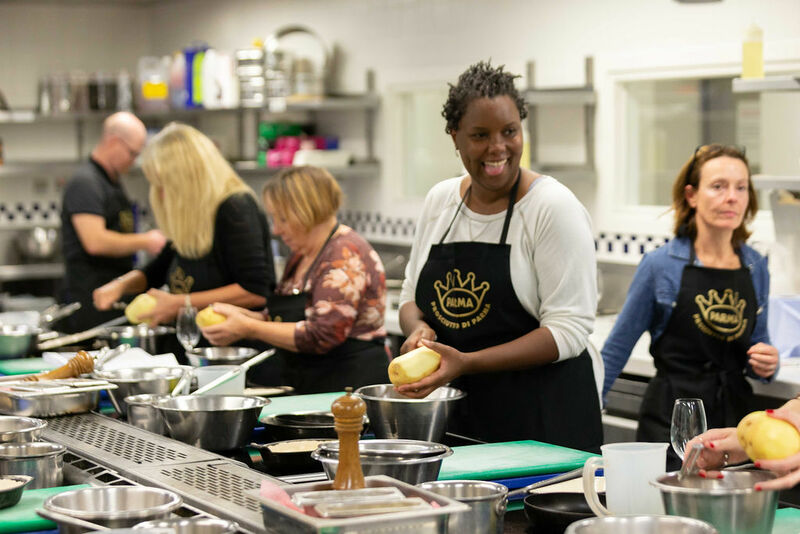 The class was fun, informative and tasty – best part was eating our creations at the end. 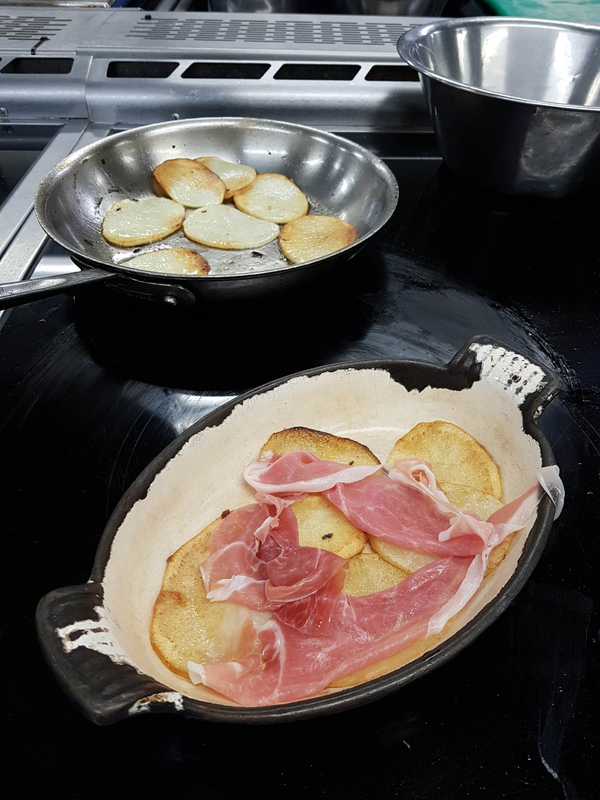 Check out the Prosciutto di Parma for more information and recipes and Le Corden Bleu for cookery courses. Food I Fancy attended as a guest.